2014 Labor Day Shin Dig! Labor Day Shin-Dig! 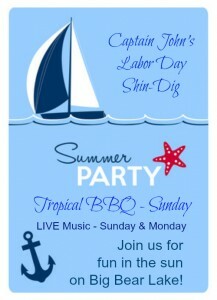 Join in the Summer Fun all weekend at Captain John’s Fawn Harbor & Marina. Come celebrate Friday through Monday!